September has passed and that means that it's time for a September Favorites! In this months favorites I'll show you a few products that really enjoyed using passed month. The products I loved the month before I'll briefly mention at the end, so I won't be repeating myself over and over again. I am not the person who tries out new products every month (like every month a moisturizer or mascara). Let's see last months favorites, shall we?! Let's start with sunscreen. I can't believe I didn't mention this in the month before, but this product is great! 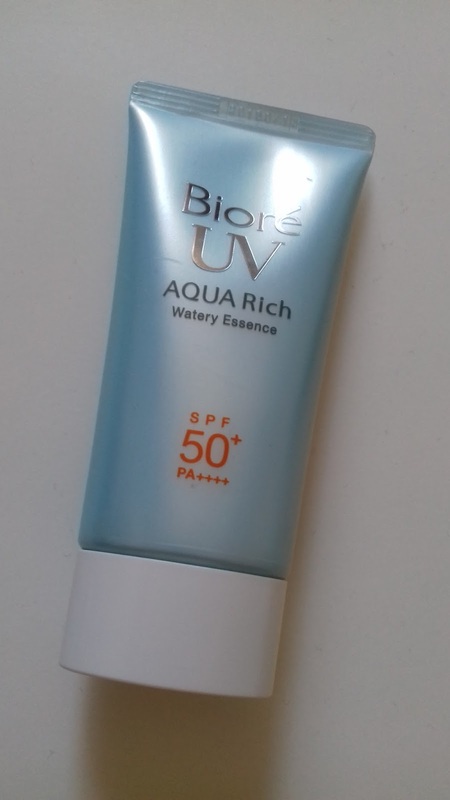 I am talking about the Bioré UV Aqua Rich Watery Essence (SPF 50+ PA++++). It doesn't make my face all greasy like most sunscreens and it does it's job perfectly. As the name of the product already says, it's like water. Next: the eyes. Like I have been mentioning, I love the mascara combo that I am currently using. At the time that I was writing about my August 2017 favorites (click) I only started using the Hypnôse Drama for one or two days and I wasn't really blown away by the mascara. But as the formula dried a little bit and I got used to the mascara... giiiiirl, I started to love the mascara more and more. Topped with a coat of the Rocket Volum' Express that separates the lashes that are a bit clumped together, it makes the perfect combo that makes me love my lashes. That's why the Maybelline the Rocket Volum' Express (click!) 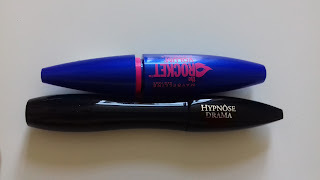 and Lancôme Hypnôse Drama (click!) are in my favorites of September. I think I'll cry a little bit if the Maybelline one runs out and I have to pair up the Hypnôse with an other mascara. 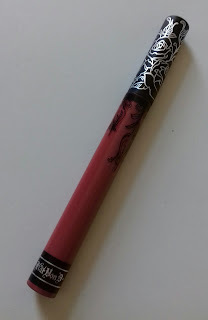 Lastly, I have a lip product that I really like: the Kat von D Everlasting Liquid Lipstick in Double Dare (click). The application is great, the formula goes on so smooth, it's very pigmented, so when you're thinking the applicator has run out of lipstick.. nope, it's still applying like a dream! 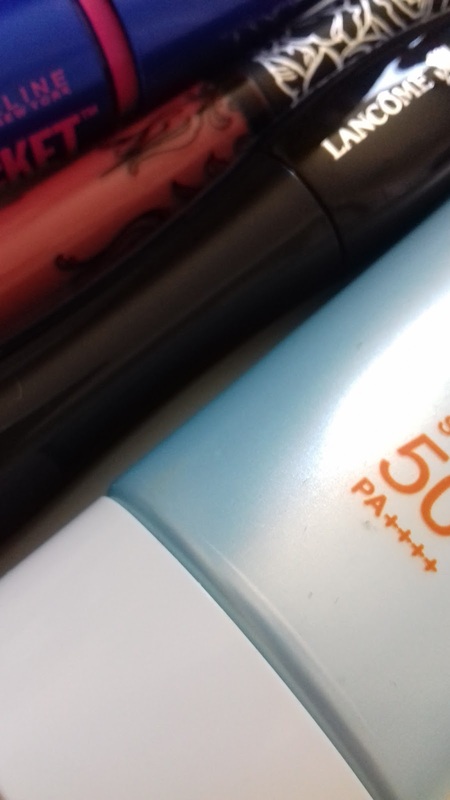 It's long-lasting, I love the color... Do I need to say more?! Those were my (new) favorites in the month of September 2017. I hope you enjoyed!